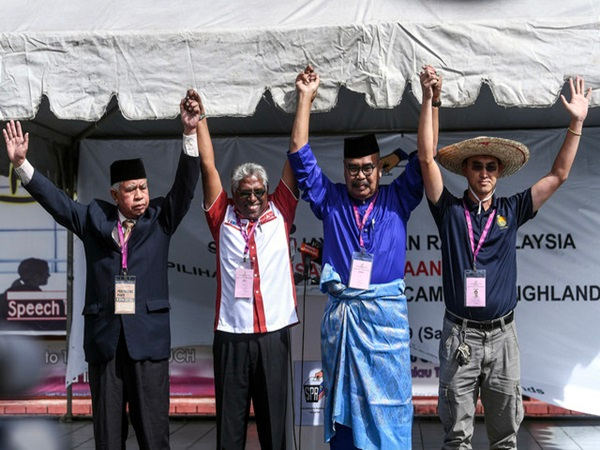 IRONIC has the battle for Cameron Highland seat become as the shenanigan – palm greasing – that had triggered the by-election, due Saturday next week, was reportedly acted out by the very party that was previously victimised by such trickery. And to justify their alleged wrongdoing, Pakatan Harapan (PH) claimed that the cash handouts it disbursed to its “volunteers” during nomination day on Saturday, were mere fuel allowances, which was part of the coalition’s election expenses, hence, lawful. But is it? It would be if the PH’s election expenses, including the contentious allowances, do not exceed the RM600,000 threshold as per to Article 19(1)(a) of the Election Offences (EO) Act. Even so, this article does not bestow those invoking it an absolute protection. Gosh. What a confusing clause. “Basically, it states that anyone involved in giving anything that pays the expenses of providing foods, drinks, refreshments or provisions or money for the purpose of influencing that person to either vote or not is committing treating,” lawyer Fatihah Jamhari clarified. She along with several other lawyers also believed that PH’s petrol allowances can be considered as treating because it is essentially a type of provisions. The Malaysian Anti-Corruption Commission (MACC) however, was less wordy, in saying the practice a crime. “In the eyes of the law, offering voters any form of inducement, be it cash or gifts, is bribery,” said deputy commissioner (operations) Datuk Azam Baki, in 2017, whose contention was also echoed by a number of electoral watchdogs in the country. For now, it is unclear if the Election Commission (EC) will probe the controversy as its chairman Azhar Harun had, through a series of tweets, indicated that the matter was a mere hearsay until the EC receives concrete evidences. “It is hearsay when a person relies on another person’s statement to make an allegation. A picture is hearsay unless the one who took it gives testimony or statement,” read Azhar’s tweet over the controversial pictures of PH’s fuel handouts. Why Azhar continues to harp on the need for the EC to do forensic analysis on the original copies of the pictures despite the fact that PH and DAP senior citizen Lim Kit Siang, had admitted to giving the RM20 cash handouts to its Orang Asli “volunteers” is anybody’s guess. 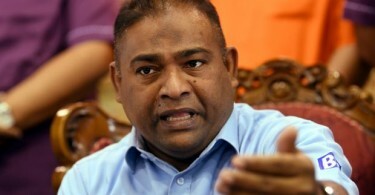 While the quibble over the legality of such practice continues, it is interesting to note that the Election Court’s ruling, which nullified Barisan Nasional’s Datuk Sivarraajh Chandran’s victory at Cameron Highland, on May 9 2018, suggested that the mere act of giving money to voters was enough to bring the matter to court. “I find that the corrupt practice was committed in connection with the election with the knowledge of the respondent. It is not in dispute that the orang asli would welcome any assistance be it cash or in kind from all parties. In fact, the evidence showed that the money given was used for daily expenses. However, the intention of the recipient is not relevant,” was Justice Datuk Azizah Nawawi’s December 1, 2018 ruling. Election watchdog, Bersih 2.0, had also pushed a similar narrative, arguing that the contentious allowances are legal if it is a part of PH’s election expenses. This however, was a peculiar stand that had contradicted the watchdog’s report on GE13, where it regarded fuel allowance as a form of bribery. Alas, it is up to the court to decide the legality of such practice and if PH receives an unfavorable verdict, we’ll end up with another Cameron Highland by-election. Yippee. 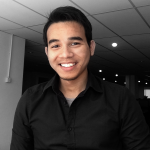 Why should being Malay be an issue for Umno?